Oh hurray! I have been waiting for this sale! 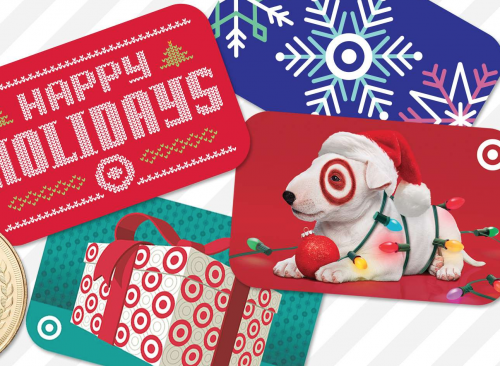 Once a year, Target offers 10% off Target gift cards. You can purchase any dollar value of gift card in store or online and 10% comes off at checkout. I love this promotion and have been waiting for it to come back around. The sale will be Sunday, December 3rd only. You will need to purchase all of your gift cards in one transaction and the minimum amount is $10. The maximum you can buy is $300 for a total savings of $30. Gift cards will not be redeemable until 12/4/17- so you can’t use them same day- and they never expire. You should be able to purchase your cards online by clicking here or shop in store. Yay!! Thanks for the heads-up on this! They’ve done it during the Black Friday weekend in the past, so I was bummed when I didn’t see it this year. Thanks for all of your hard work – really love your blog! Merry Christmas! Hi Michelle- that is what I thought too 🙂 I am the room mom for our class this year and buying a Target gift card for the teacher so I was really hoping to stretch our dollars with this offer. Yay for Target! I was waiting for this sale. Thanks for telling us! My family loves those gc in their stockings!